It's true, I haven't had much time for Tiny Aviary, but does it count that I think about Tiny Aviary all of the time? I am hoping to get the ball rolling on this again. 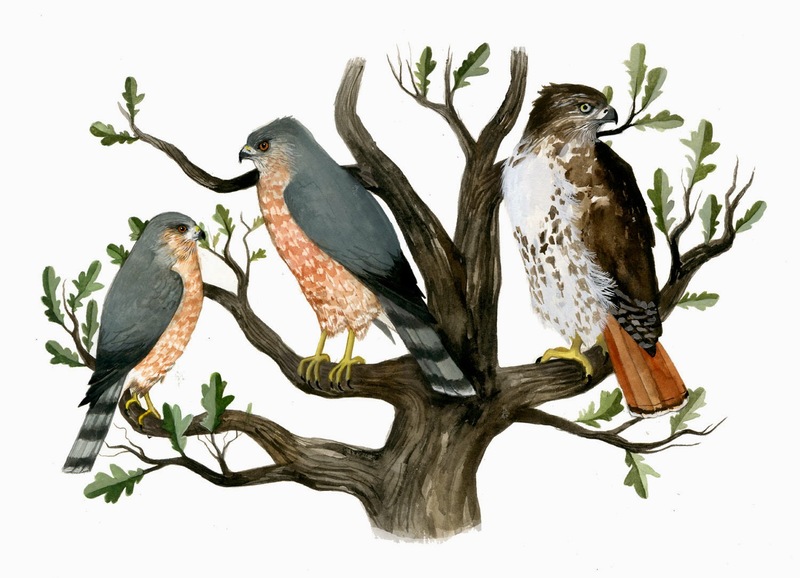 I am considering opening up Tiny Aviary to cover, in a more general sense, the work that I do. It's been so busy that I haven't had as much time to go in to the museum, and thus less time for bird related material. Anyway, I have a new etching completed and will be available for sale in the Etsy shop starting tomorrow! I posted about this print a few months ago HERE and HERE. My friend, Teresa James, who is a wonderful Chicago artist and printmaker, was kind enough to share her beautiful print shop (White Wings Press), with me so that I could complete the printing on this etching. It is a small edition of 18, of which I will have roughly 14 to sell. 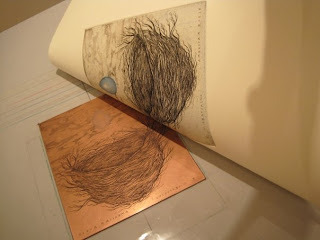 It's a two color (meaning 2 plate) copper plate etching printed on beautiful Hahnemühle german etch, cotton rag paper. If you find me on Facebook, I have some process photos of its printing uploaded to my profile. Later this summer I will be going back to White Wings Press as a guest artist, and will be working with Teresa to make a five color etching. I am hoping to document the whole process and get it up on Flickr along with other work of mine. Ok, more soon. Hope everybody is having a great summer! looks like it sold out, congrats! Not sold out yet! There are still some left. I just hadn't the chance to re-post more to the shop yet. Oh no! Please save one for me! Awesome work, Diana! Makes me want to get on an etching press again.. It came up beautifully Diana. Thanks guys! - I am hoping to have another etching available by the end of the summer.